This year's Best of Orlando issue was written, edited, tallied, combined and compiled with the blood, sweat and tears of Marcus Griggs, Holly V. Kapherr, Faiyaz Kara, Seth Kubersky, Bao Le-Huu, Billy Manes, Dave Plotkin, Eleanor Roy, Justin Strout, Erin Sullivan, Aimee Vitek, Katie Westfall and Jessica Bryce Young. Rob Bartlett of bartlettimage.com was our lead photographer for this issue, and our cover model is the wonderful Jose Melendez, better known as the Diamond Exchange's Mr. Gold Orlando. Thanks to all of our readers who submitted more than 6,000 (!) 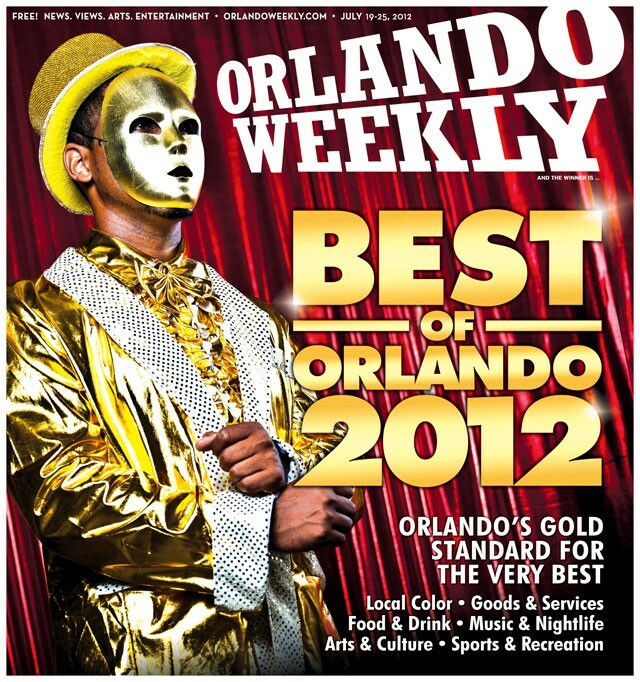 ballots in this year's Readers Poll, making it our most popular Best of Orlando Readers Poll yet. We couldn't have done it without you.